Have a two-headed coin? Want to know what it’s worth? Find out here! See examples of two-headed coins and two-tailed coins made by the U.S. Mint. Plus, other novelty coins like the the Lincoln-Kennedy penny and other 2-headed coins that are not US Mint coins. Collect old coins? 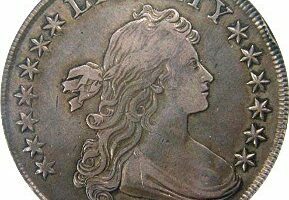 Early American coins (from 1793 to about 1839) have been highly demanded among coin ‘type’ collectors for generations. Here’s a little about the value of early U.S. coins today, compared with their historical values from decades past. The 1909 wheat penny is one of the most interesting (and valuable) coins in the Lincoln cent series. See if you have the one that’s worth $650 or more… or the one that’s worth $12 or more. Either way, if you see a tiny VDB on the coin, then you’ve got a pretty historic — and valuable — coin on your hands! The 1909 VDB penny has a unique story. Are Indian Head pennies rare? What is the Indian Head penny value today? 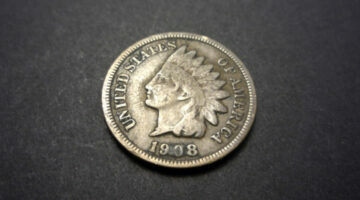 Here’s a list of the scarce Indian Head pennies you should be looking for. Plus, the values of common-date Indian Head pennies. Have an Indian Head penny? See what it’s worth here. The Lincoln Memorial penny was made from 1959 to 2008. It was — and still is — a fixture in United States commerce. While most Lincoln Memorial pennies are worth only face value (or a little more), there are a few rare Lincoln Memorial pennies you should be keeping your eye out for. Here are 5 classics, plus 3 recently discovered rare pennies. Did you know that the Indian Head penny does not actually have an Indian on it? It’s Lady Liberty wearing an Indian headdress! Here are some fun facts about Indian Head pennies and the ones that are the most valuable today. 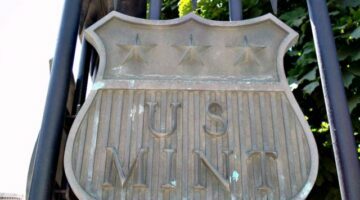 Since the 1970s, the West Point Mint has struck millions of coins. The West Point Mint currently strikes bullion coins (silver, gold, and platinum) and commemorative coins, In the 1970s and 1980s, the West Point Mint made Lincoln pennies and Washington quarters. The first West Point Mint coins did not have a mintmark. The W West Point Mint Mark first appeared in 1984. Here’s more about the many types of West Point coins, including some West Point coins you may have in your pocket right now and their current value! Have a 1946 penny? Looking for the value of a 1946 wheat penny? You’ve come to the right place! 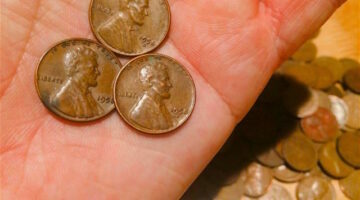 See what 1946 pennies are worth today and how many were made. Plus, info about the scarce and valuable 1946-S S Over D error penny. Have you heard about the 1958 penny worth $150,000? 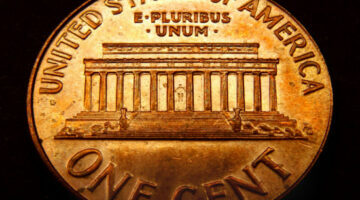 Think you might have this 1958 penny error in your possession? See if you have the rare 1958 double die penny or just a regular 1958 wheat penny + Find the current 1958 penny value for all versions of the coin here. Have a 1942 wheat penny, 1942-D penny, 1942-S penny, or another rare 1942 penny? See the current 1942 penny value. Find out here if you’ve got a rare 1942 penny worth thousands of dollars! 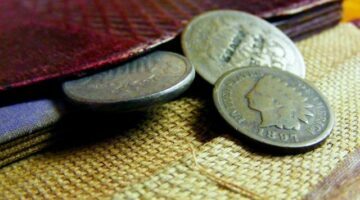 Even if you’re not into coin collecting, here’s a list of rare pennies you should hold onto. 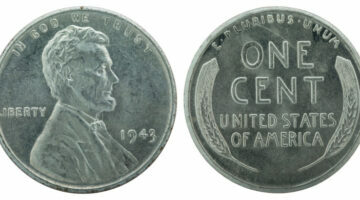 One of the most popular is the 1943 wheat penny. Other rare pennies on this list include the 1792 penny, 1793 penny, 1844 penny, 1856 penny, 1877 penny, 1909 penny, 1924 penny, 1936 penny, 1943 penny, 1955 penny, 1974 penny, and other silver pennies. 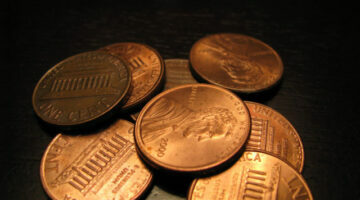 I’ve also included some tips to help you find out the value of your pennies. 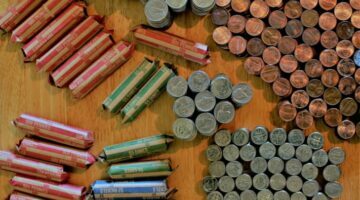 Most Valuable Pennies: A List Of 43 U.S. Pennies Worth Holding Onto! You probably have some valuable pennies in your loose change! 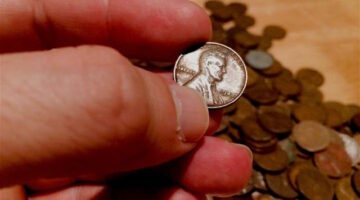 Here’s an awesome cheat sheet showing the rare pennies you should be looking for. These 43 pennies found in circulation are worth 1 dollar or more… each! 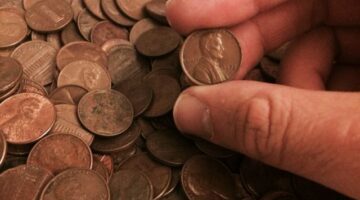 I’ve collected pennies since I was a kid, and I’ve put together a list of the best places to find rare pennies worth money. Did you find a 1911 penny? Want to know what your 1911 wheat penny is worth? Here’s a list of 1911 penny values — including the 1911-D penny and 1911-S penny — and why you should definitely hold onto 1911 wheat pennies! 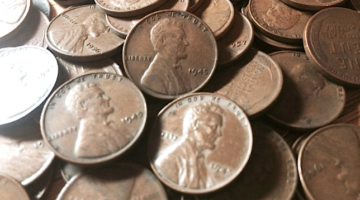 Most worn 1964 pennies that you’ll find in circulation are worth the value of their copper content — or about 2 cents. But some 1964 penny values are MUCH higher — like the 1964 SMS penny. Here’s how to tell if you have a rare 1964 SMS penny why these 1964 pennies are worth so much. Rare Pennies Worth Money: Here Are 8 Old Pennies You Could Find In Pocket Change Worth $1,000 To $85,000 Apiece! There are 8 rare pennies worth money (like $1,000+ apiece!) in circulation today – and they could turn up in your pocket change! 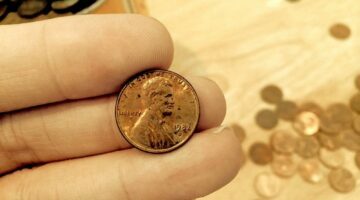 Here are 8 valuable pennies to look for. There’s a rare 1999 penny error that is worth hundreds of dollars and you could find it in your pocket change! Here’s how to tell if you have a 1999 Wide AM penny or not. Plus, see all 1999 penny values. Think you might have a rare 1943 penny? Wondering how much a 1943 silver wheat penny is worth? 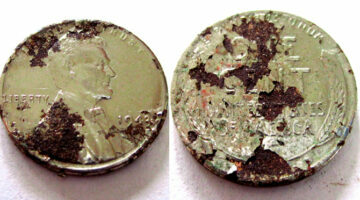 Even though your 1943 penny might look silvery in color, technically, you have a 1943 steel penny. See the current value here. Are the letters A and M in AMERICA close together or far apart on your 1992 penny? 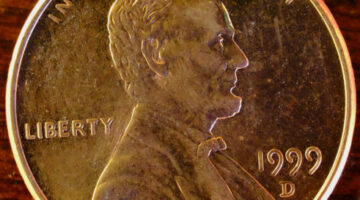 If they’re close together, then you may have the rare 1992 penny error! Here’s what to look for on your 1992 pennies to find out if you have a 1992 Close AM penny or just a regular 1992 penny. 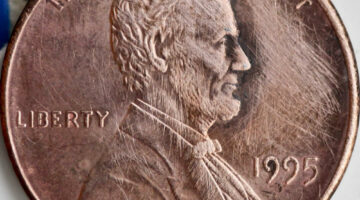 See what the Close AM penny and all other 1992 pennies are worth today! What’s the 1995 penny value today? Well, there are a few 1995 pennies that are worth more than face value: a 1995 double die penny (which was a 1995 penny error), a 1995-D penny, a 1995-S proof penny, and a no mintmark 1995 penny. Here’s how to tell what your 1995 penny is worth. Do you have a 1989-D penny or a 1989-S penny? What about a plain 1989 penny with no mintmark? Some 1989-D copper pennies are worth $3,000! And there are some other 1989 pennies worth more than face value as well. Here’s how to tell if you have a valuable 1989 penny or a 1989 penny worth 1 cent — see what your 1989 penny value is today. Someone found a 1982 copper penny worth $18,800 — and you could too! Here’s everything you want to know about the 1982 D penny – and how to find a 1982 small date penny. See what you should be looking for.